Rupert Guinness is a senior sports writer for the Sydney Morning Herald. 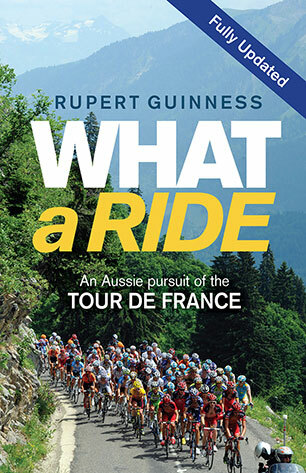 He writes about rugby union, cycling and rowing has covered 20 Tours de France. Married and living in Sydney, Guinness was awarded a Walkley Award commendation in 2001 for his inside story for The Australian on the 1999/2000 Sydney to Hobart yacht race where he crewed - without ever having sailed before - as a grinder on board the line honours-winning maxi yacht Nicorette. A former triathlete, club cyclist and elite lightweight rower, Guinness still rides and runs in marathons. He has written thirteen books. 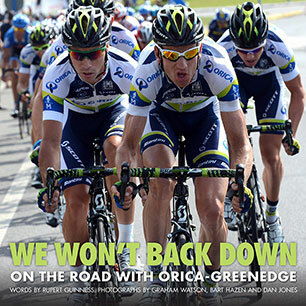 The story of the first year of Australia's first professional cycling team told through the images of the photographers who have followed the team since its launch, with words from Australia's foremost cycling journalist. 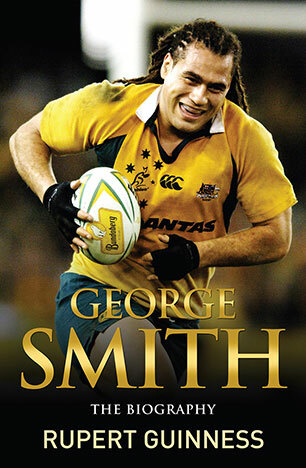 From the villages of Tonga to the most capped Wallaby forward of all time - the life of rugby legend, George Smith. An updated, behind the scenes story of the Tour de France and the evolution of Australian riders from a curiosity to a major force to be reckoned with in the world's greatest bike race.